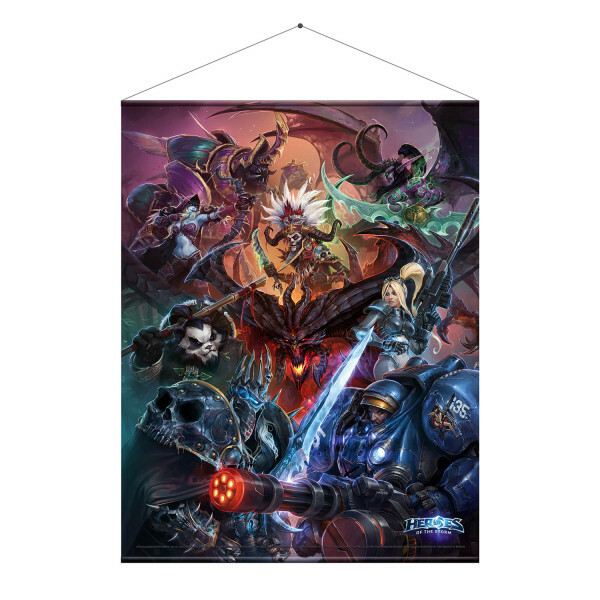 Blizzard's MOBA "Heroes Of The Storm" has a broad cast of different heroes - This wallscroll shows the rather famous ones in a collage. The wallscroll measures 77cm x 100cm and comes packed in a clear tube. Heroes of the Storm is a Multiplayer Online Battle Arena video game (MOBA) developed by Blizzard Entertainment. 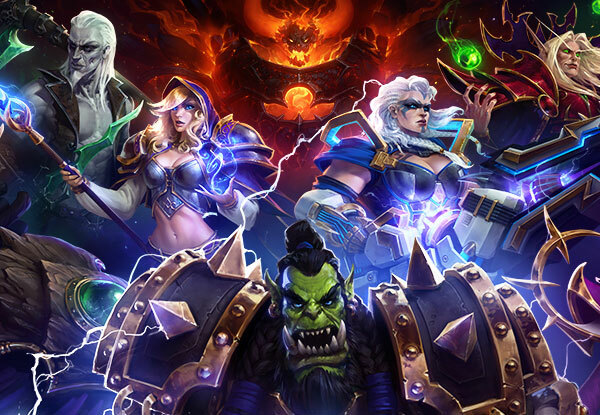 Compared with other popular video games of the same genre, HotS features a unique objective system in which the players have to fulfil certain tasks to dominate the battlefield.The game is a crossover of the biggest Blizzard franchises where the players take control of famous characters in exciting and spectacular fights in the Nexus. Heroes of the Storm uses a free-to-play model with micropayments, which can be used to purchase heroes, skins for the heroes and mounts. "Hell, it's about damn time."